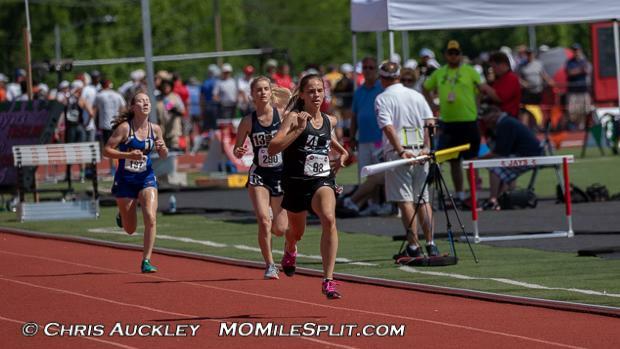 In the Class 3 Girls 1600m, 8 State Qualifiers return this season including 3 State Medalists of which one is the Defending State Champion. We are going to get to witness another epic showdown between the Defending 1600m, 3200m, and 2018 XC State Champion Mercedes Schroer, and the Defending 800m Champion, 1600m Runner Up, 2017 XC Champion, and 2018 XC Runner Up Kylie Goldfarb. Last year this race came was about as close as it could be with Schroer running 5:09.15 for the victory and Goldfarb running 5:09.88. It'll be another exciting match up between the two sophomore stars, and really either one of them could walk away victorious, but I'm going to roll with the Defending Champ for the W. We really are blessed to get to see these two race so much and push each other to fast times. Below you can find the full subjective rankings and honorable mentions for the Class 3 1600.